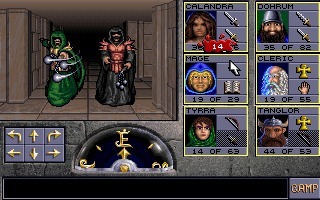 Ultima Underworld: The Stygian Abyss is a fantasy action RPG developed by Blue Sky Productions (Looking Glass Studios) and published by Origin Systems in 1992 for DOS. 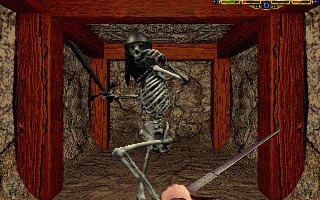 It was later ported to FM Towns, Playstation and other platforms. 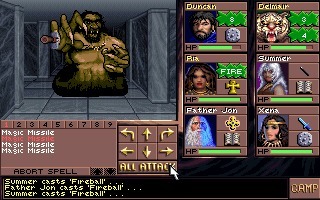 Eye of the Beholder is a dungeon crawler role-playing game based on the AD&D rules, developed by Westwood Associates and published by Strategic Simulations Inc in 1990 for the Amiga and DOS. 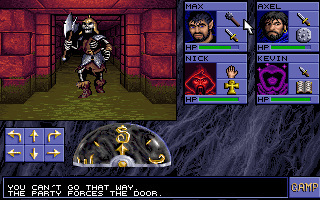 Black Crypt is a fantasy single-player role-playing game by Raven Software, published by Electronic Arts. It was released in 1992. 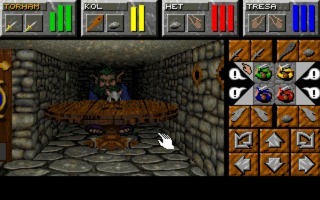 It was originally conceived of as a pen and paper roleplaying game by Brian Raffel and Steve Raffel. 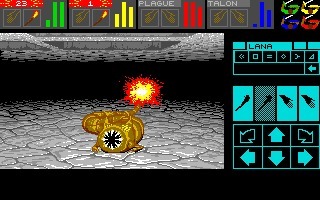 Realms of Arkania: Star Trail is the second in the Das Schwarze Auge inspired series Developed by Attic Entertainment Software and published by Fantasy Productions (FanPro) in German and Sir-Tech in English for DOS in 1994. 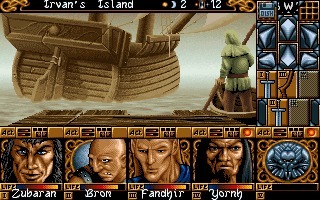 Whale's Voyage II: Die Übermacht, released in 1995, is the sequel to the sci-fi RPG Whale's Voyage created by neo Software. 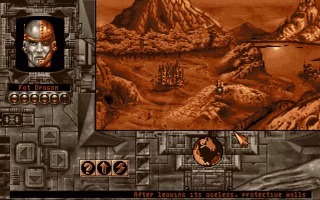 The game is a mix of role-playing, space exploration, trading and a bit of dungeon crawling. 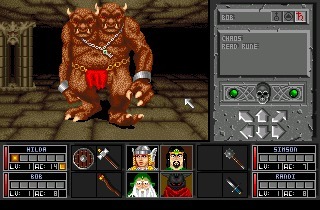 Chaos Strikes Back is the sequel/expansion to Dungeon Master, one of the first examples of dungeon crawling rpg. 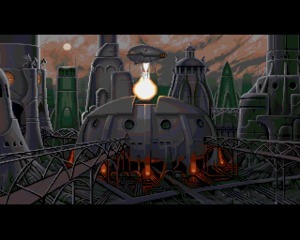 It was released in 1989 on several platforms including Atari ST, Amiga, X68000, PC-98, FM Towns and MS-DOS.